Discussion in 'USA Made Blade' started by Whitty, Nov 10, 2018. 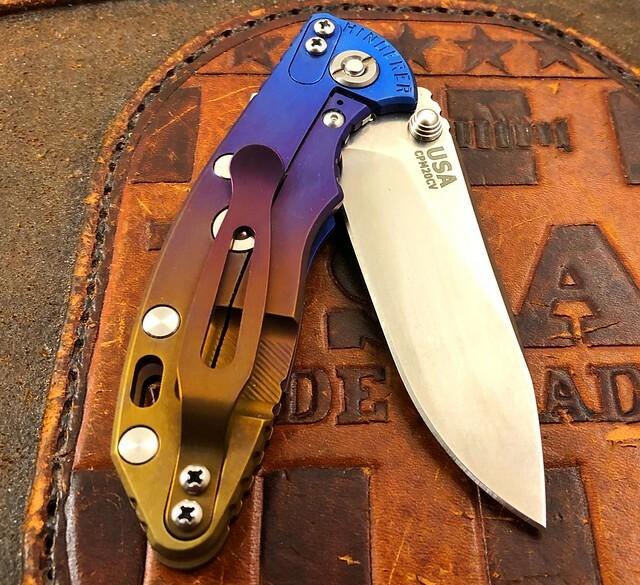 We have a few new anodized Hinderer knives this week. 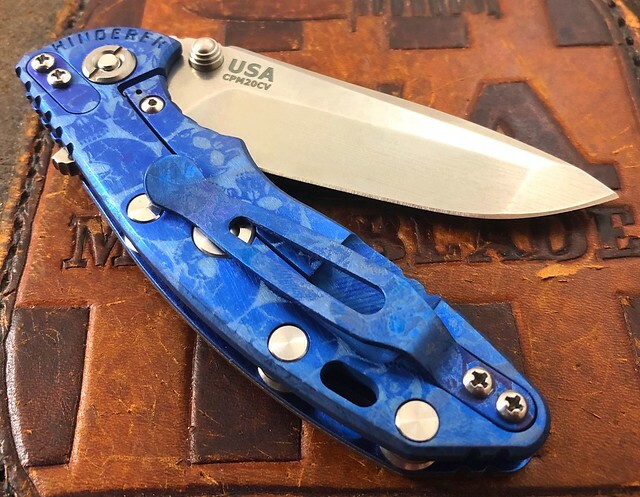 We are an authorized Anodizing dealer for Hinderer so our work is 100% covered under the Hinderer Warranty! 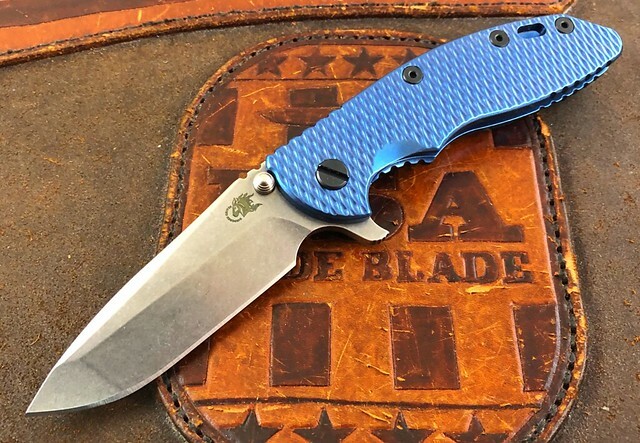 1st up we have a Sunrise Fade Hinderer XM-18 3.0" Slicer with Black G10. This has the new Tri Way Pivot System and the Filler Tab, Pocket Clip and Liner were all anodized to match. 2nd up is something very different from us. This is a Ghost Blue Skulls XM-18 3" Spanto. The skulls almost have a worn look to them and in some lights look like a blue digicamo. This Spanto has FDE G10 and is on the Tri Way Pivot System. Last one for the day is a Blue Full Ti XM-18 3.5" 30 year Spanto. This is decked out with Black Hardware. The Gen 5 has the lockbar insert but does not have the Tri Way Pivot System. This one does not need it because it flips like a champ. Gen 5s are very rare in the market. If we can help with anything please let me know by email or call the shop anytime.